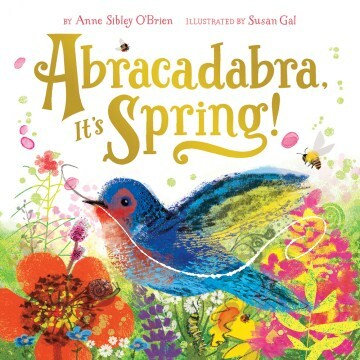 Filled with beautiful budding flowers, green grass, and warm sunny days, I absolutely love sharing books on this magical season with my children. 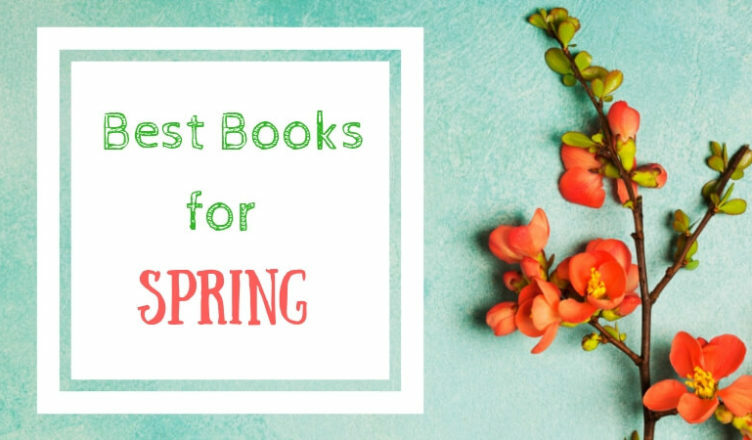 Below is a list of our favorite springtime books. 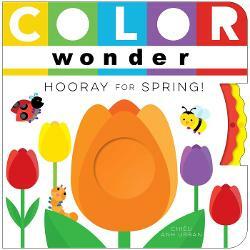 In this clever board book, children can turn a spinner to create colors! Using simple rhymes, each two-page spread greets an insect hovering around a different colored flower. The middle of the flower is an open circle. When children turn the spinners on the side, the opening fills with a color. There are two spinners to teach children that when two colors come together they can create a new color. This is such a fun and engaging way to teach colors and color mixing! 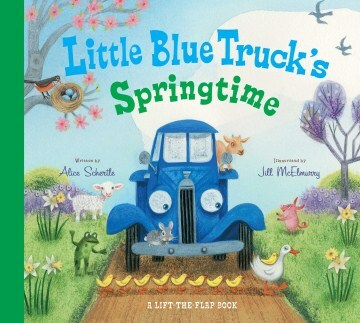 Short rhyming text and fold-out pages reveal the magic of spring in this vibrant picture book. “Three blue eggs sit there matching. Open sesame! They start hatching.” The beautiful illustrations brilliantly capture the thrilling transformation of nature during the spring season. 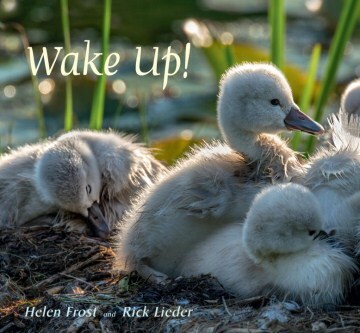 Poetic text combined with gorgeous close-up photographs of insects, amphibians, birds, and mammals result in an incredible springtime nonfiction book for young children. The lyrical language contains several questions inviting children to identify the animals, making this perfect for storytimes. Little nature lovers will also enjoy the additional fun facts about each animal provided in the back. 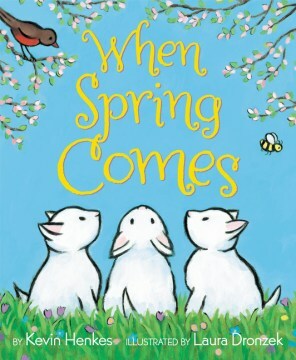 Simple, poignant text paired with bright, beautiful illustrations make this the perfect book to introduce spring to preschool age children. Kevin Henkes eloquently describes the changes children will see around them during the transformation from winter to spring. Noting characteristics of winter and spring provide the perfect opportunity to have children enter a conversation comparing and contrasting the two seasons. 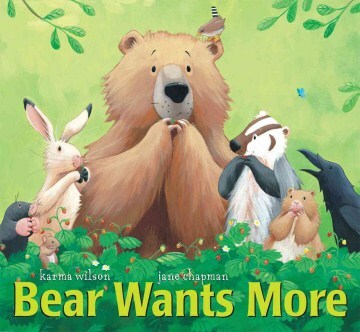 I just love this charming series that follows a bear and his forest friends through various adventures during each season. In this installment, Bear wakes from his winter nap and is ravenous. He travels the woods in search of food and discovers a surprise party thrown by his friends. 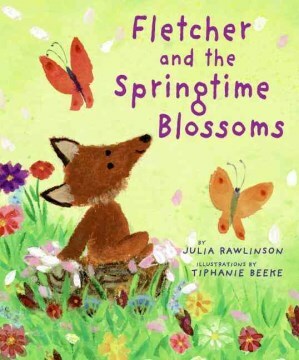 I just adore the old-fashion feel to this book and the flowing rhyming text that rolls off the tongue making this one of my favorite spring read alouds. 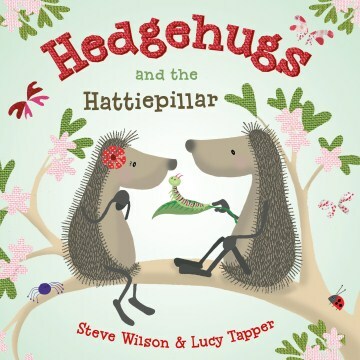 Horace and Hattie are two adorable hedgehogs who discover a caterpillar and observe its transformation into a butterfly. Inspired by its beauty, they attempt to become butterflies themselves. This story is full of whimsy and imagination and could not be sweeter. This amusing series stars two friends, Bear and Mole and their comical adventures together. In the first installment, Mole tries to arouse Bear from his long winter nap, but none of his techniques including door knocking, nose tickling, or horn playing work. He finally makes pancakes and the delicious smell wakes up Bear just as Mole falls asleep after his hard day’s work. Filled with only a few words on a page, charming illustrations, and a cheerful story this book is perfect for young children. This interactive book invites readers to help grow a flower by wiggling their fingers to create rain, clapping their hands to make the sun appear, and jiggling plants to scatter the seeds. 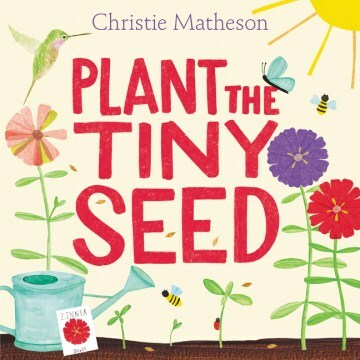 This engaging picture book is great for storytimes and the author’s note provides additional information to inspire children to plant their own gardens. 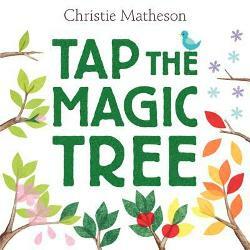 Pair this with another of Matheson’s interactive books, Tap the Magic Tree to experience the captivating transformation of a tree through the seasons. 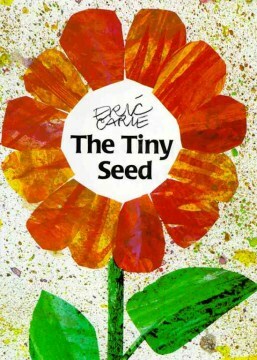 Eric Carle’s signature artwork shines in this engaging tale about the journey of a seed. Several seeds are spread during the windy fall season, but it is the smallest of seeds which survives several perils to grow into a large and beautiful flower. This classic has bright, vivid colors that pop off the page and the text opens up an interesting conversation about how seeds are spread. I just adore this beautifully illustrated series about a charming little fox and his adventures learning about various seasons. 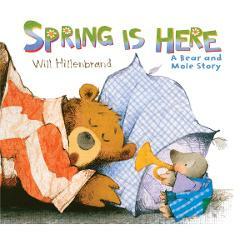 In this installment, he mistakes blossoms for snow and warns his woodland friends that spring is not quite here. When they discover the truth, however, they relish in the joy of the warmth and splendor of the new season. 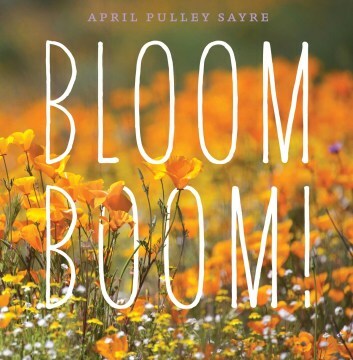 April Pulley Sayre’s nature series featuring each season continues to blow me away with her stunning photography and lyrical text. In Bloom Boom! she celebrates the beauty spring brings with incredible bursts of colorful flowers. Additional information is provided in the back for curious children to learn more about these astonishing plants. 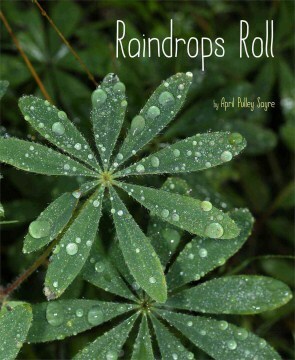 Another favorite from this series that is perfect for reading on those rainy spring days is Raindrops Roll. It uses gorgeous photographs and eloquent language to describe the water cycle. I love books that inspire children to stop and take note of the world around them. 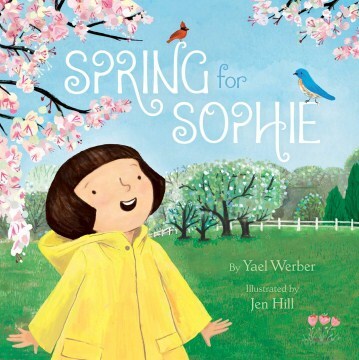 Spring for Sophie by Yael Werber does just that. Lovely illustrations adorn this beautiful story that encourages children to use their senses to identify the changing seasons. This seemingly simple story follows a boy who anxiously awaits the seeds he planted at the end of winter to grow. Julie Fogliano expertly encapsulates the excruciating tediousness a child experiences while waiting for something. 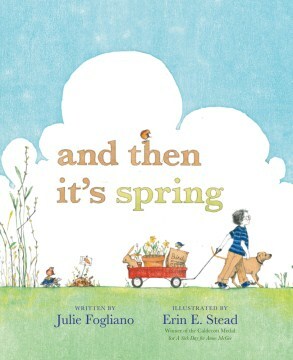 The amusing text is perfectly paired with award winner Erin Stead’s clever artwork creating a standout picture book celebrating the onset of spring. 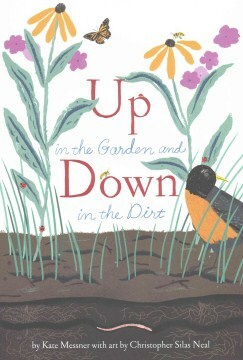 This narrative nonfiction book gives children an inside view into the many insects and plants that reside above and below the ground. Beautifully illustrated and filled with poignant text, this informational picture book is a standout.